Then, at a time that our public lands and ocean territories are being auctioned off for exploitation by the oil and gas industries, Stephen Nash examines the case of the Grand Canyon. 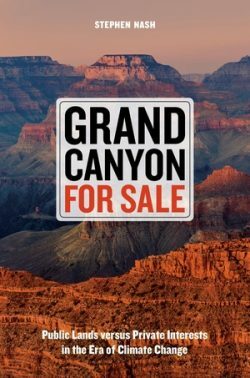 His book is Grand Canyon For Sale: Public Lands versus Private Interests in the Era of Climate Change. From Harriet Tubman to Sandra Bland and Black Lives Matter, black women freedom fighters have braved violence, scorn, despair, and isolation to fight for their rights. 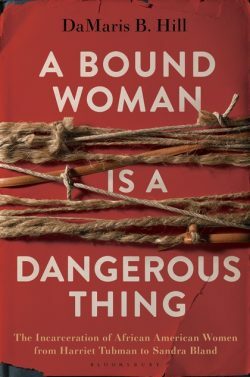 In A Bound Woman Is a Dangerous Thing, DaMaris Hill honors their experiences with responses to her heroes that are both harrowing and hopeful. In her “love poems”, as she calls them, to such women as Tubman, Zora Neale Thurston, Ida B. 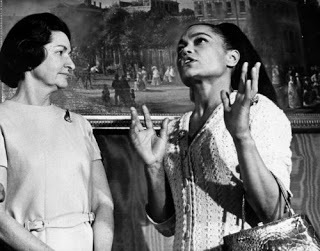 Wells, Eartha Kitt and others, Hill pays homage to women who broke through the boundaries that racism and sexism tried to hem them in with. She also honors women of lesser renown, who fought back against chains, literal and otherwise, sometimes by violence, sometimes by breaking the law, but always with unbounded courage. Using poems, other writings and photographs, Hill explores the different meanings of being bound: from slavery and incarceration to being bound to those we love — and bound for freedom. DaMaris Hill’s books include The Fluid Boundaries of Suffrage and Jim Crow and a poetry collection, \ Vi-zə-bəl \ \ Teks-chərs \ (Visible Textures). In addition to being a writer, she teaches Creative Writing and English Literature, African American Studies and Women’s Studies at the University of Kentucky. President Trump just signed a bill creating five new national monuments and expanding some national parks. That’s a good thing. But before we celebrate, we need to take note of the unrelenting assault on public lands being waged by this administration. Trump plans to open up the Atlantic coastline to massive oil and gas drilling, with the sale of leases to dirty energy companies going on right now (the public comment period is open until March 30.) Thousands of acres of public land in Wyoming are at risk for oil and gas drilling, although a federal judge has temporarily blocked those plans, asking the administration to show the impact on climate change. Trump’s latest budget proposal slashes Interior Department spending on conservation by 75%. But sadly, while Trump may have the worst record on environmental protection of any modern president, the exploitation of public lands for private profit has been a policy of both Republican and Democratic administrations. Even iconic treasures like the Grand Canyon have not been exempt. Stephen Nash’s book Grand Canyon For Sale is a carefully researched investigation of the precarious future of America’s public lands: our national parks, forests, wildlife refuges, monuments, and wildernesses. Taking the Grand Canyon as his key example, Nash shows how climate change and a growing political movement on the right to break up federal lands and return them to state, local, and private control, could devastate our national parks, forests, and other public lands. Stephen Nash has reported on science, the environment, and other topics for The New York Times, The Washington Post, The Scientist, and other venues. He is Visiting Senior Research Scholar at University of Richmond in California, where he has taught in the journalism and environmental studies programs since 1980.